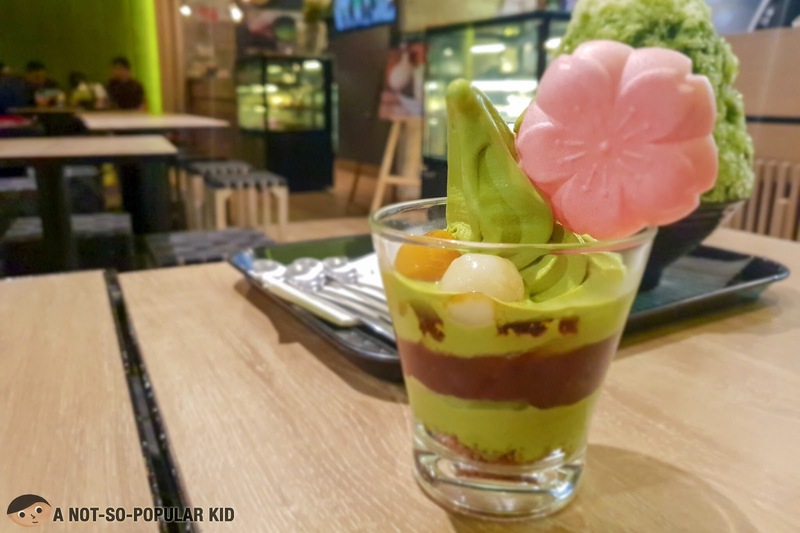 Matcha-lovers are surely in for a treat with Tsujiri's green tea macha desserts. 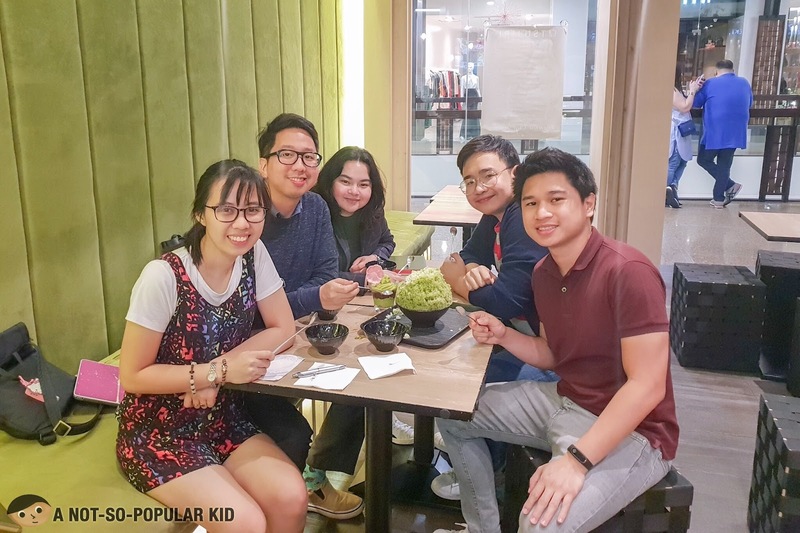 After our dinner in Ramen Nagi, we wanted our taste buds to be "cleansed" with something sweet. Hence, we thought ice cream would do the trick. To continue on with the Japanese experience we were thinking of "matcha". And that's how we ended up in Tsujiri. 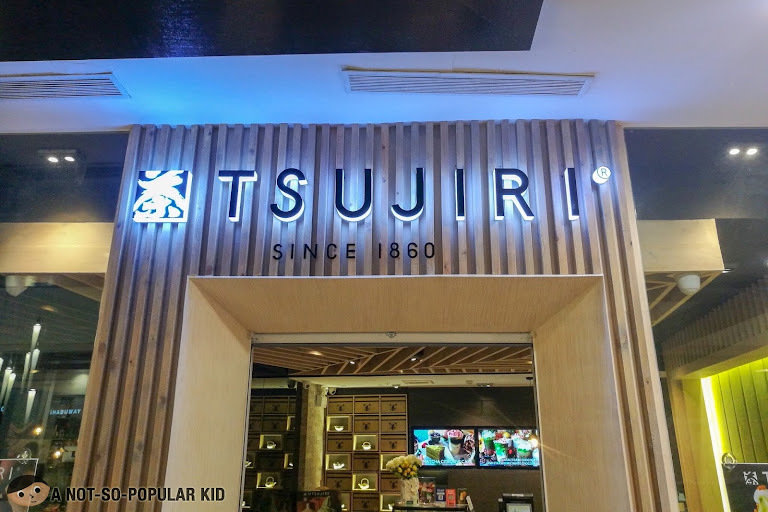 Tsujiri replaced Classic Confections in Greenbelt 5. Despite the small space, Tsujiri appears to be spacious. All thanks to the mirrors embedded on the walls. 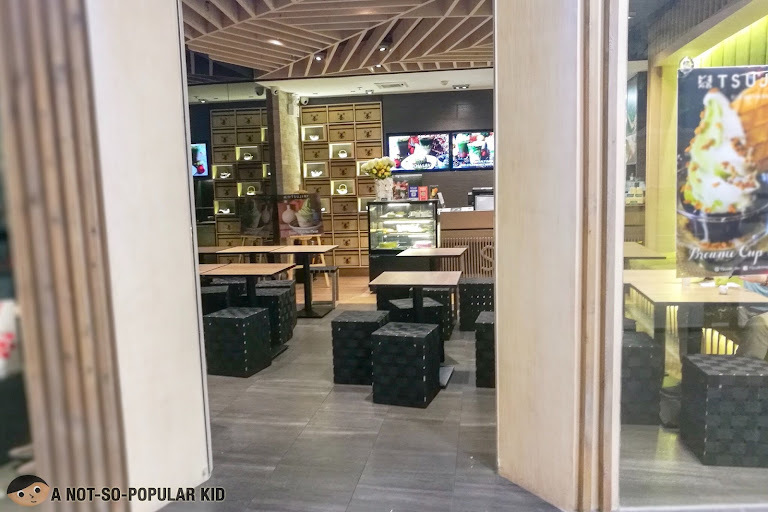 This also added a modern touch to the ambiance which is conducive for savoring the desserts. 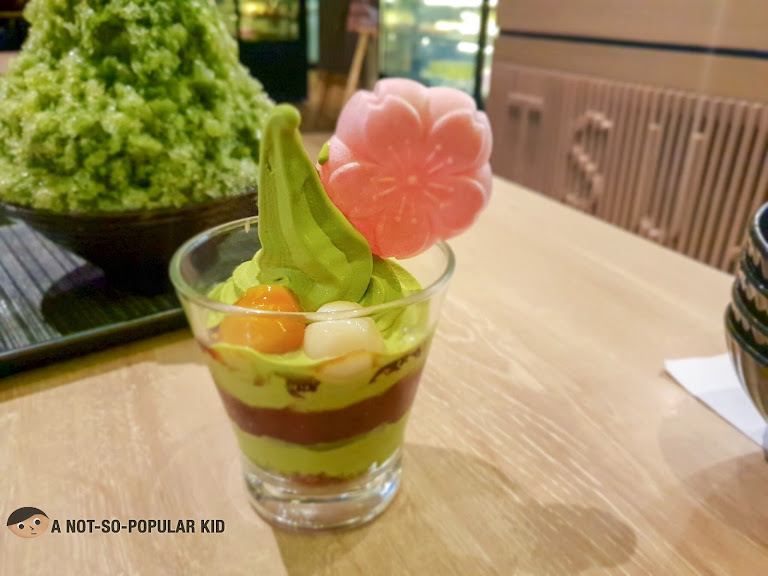 For this night, we had the Tsujiri Sundae (P295) which indeed highlighted the "grassy" texture and taste of an authentic matcha. This variant also had red beans, mochi balls and toasted barley (I suppose). While it was fantastic on the first few scoops, the pleasure steeply declined as we went on. 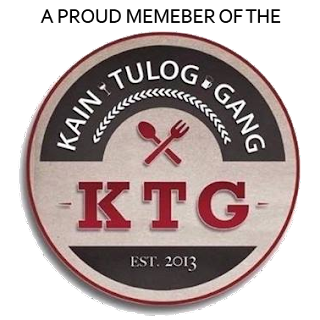 In other words, "nakakaumay". Best remedy is to share between friends. We also had this eye-catching dessert which is Japan's version of Halo-Halo, Uji Sunrise (P350). 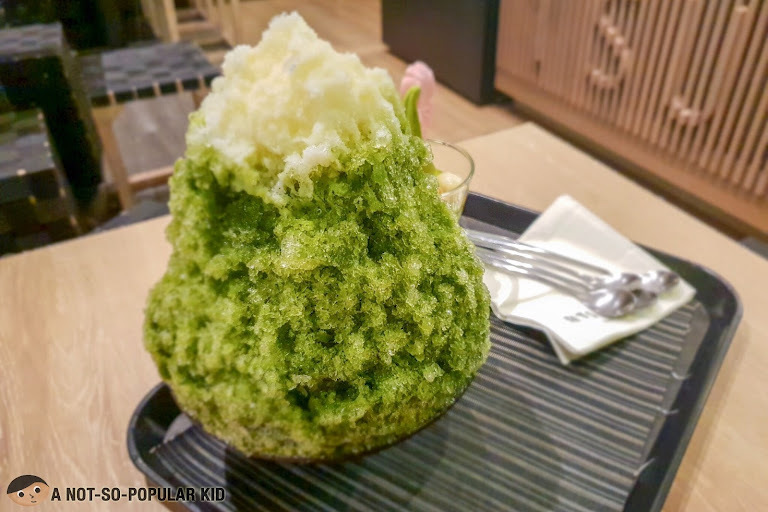 It's basically shaved iced showered with match powder, and as you dig deeper, you'll uncover the treasures depending on the combinations you pick. Ours had red beans in between. Although this doesn't tire the buds as fast as our first order, it was tiring to consume the entire bowl without feeling water-logged or bloated. Tsujiri perhaps had a different version in my mind, and our experience fell somehow short to that version. I can't very much figure it out. Maybe Tsujiri is really best enjoyed in its hometown. Its appeal may have weaken when it was brought here. 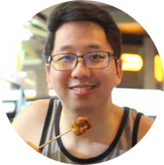 This being said; I fear that Tsujiri might share the same fate as Pablo Cheesecake here in Manila. Anyway, on a lighter note, do experience it yourself, and maybe you can share your thoughts on whether you agree or disagree.